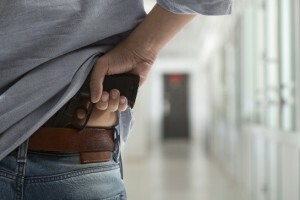 Do your staff members know what to do if someone walks into your hospital with a gun? While this is a scary scenario, it happens more often than we think. 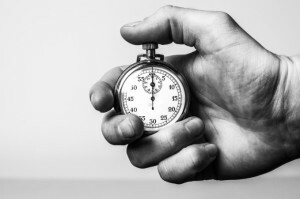 There are certain precautions and mitigation techniques that your team should know. If they don’t it may be time to call our healthcare violence mitigation company. Learn how TEAM MDI can help prepare your team for the unthinkable! MDI has presented their lifesaving Armed Violent Intruder Response (A.V.I.R.) training curriculum to 1,000’s of healthcare professionals across the United States. As a result of the overwhelmingly positive response to the dynamic lecture and breakout sessions, MDI has created an Online Training Series. The A.V.I.R. online training segment has been specifically customized for healthcare professionals and exceeds regulations set forth by CMS, The Joint Commission and OSHA. It contains the core elements of MDI’s principally-based doctrine that was created to empower healthcare professionals through a series of reactive, principally-based action steps. Designed to be utilized as a quick response guide, it assists with proper decision making during the threat of an armed violent intruder. Dynamic, lifesaving, proactive action steps, such as MDI’s Out Principles, are discussed and demonstrated in detail. The various principles and strategies relating to restricting access and limiting the mobility of an armed violent intruder are also illustrated. This online training segment reveals various techniques that will enhance healthcare professionals’ existing skill set and further empower them to identify and recognize various danger cues in order to properly react. Team MDI continues to employ extensive, real world, problem solving experience to create cutting edge training doctrine customized for the healthcare industry. The collective goal is to assist organizations in providing a safe environment for all patients, visitors, physicians and staff so they may continue to prosper in their endeavor to save lives. Now that you know some of the ways our violence mitigation company can help train your healthcare staff, you’re ready to take action. If you can’t confidently say your team knows how to handle an armed intruder, it’s time they do. It’s not a matter of if it happens, it’s a matter of when. Ensure your team knows the proper procedures to help prevent an armed intruder from causing damage AND what to do if they get past that point. If you’re interested in preparing your team for the unthinkable, contact Mitigation Dynamics Institute today. We’d be happy to share some information on how we can help your team prepare and train for an armed violent intruder in your hospital.